After a sensational performance from Jason Day last week, the major year has come to a close and all eyes will quickly turn to the last event before the season ending Final Series. In 5 tournaments time we will have crowned the new FedEx Cup champion who’ll pocket a cool $10 million. Outrageous scenes. Stallings and Donaldson are the only two names above that aren’t playing this week, which is a massive risk if they want to qualify. There are obviously plenty of guys below Prugh who can jolt up the standings with a win, so keep tabs on the storylines as they develop throughout the week. And yes, Tiger Woods IS PLAYING. Madness. As for the event itself, the Wyndham Championship is held at the Donald Ross designed Sedgefield Country Club. The 7,127 yard par 70 has played host since 2008 after 30 years at Forest Oaks and whilst being a cracking track, it’s often provided the players with little bit in terms of scoring. The winning numbers have been very low and even with the subtle re-designs on the greens, Patrick Reed’s 2013 score was the lowest since the 08’ renewal. The newly laid Bermuda greens did cause some changes in playability last year – the small, undulating and fast greens arguably provide the only true defence. Therefore we have to look at putting stats and GIR because you can’t score if you’re not giving yourself the chances but clearly going to take a peak at the scoring stats themselves as well. 5 tournaments to go ladies and gentleman, 5 tournaments to go. Brandt Snedeker is looking like he’s getting close to his old self, finally putting that back injury behind him once and for all. He is putting well again – 40th birdie or better % and 7th one-putt % – whilst his irons are nearly there. He’s been scoring far better as well. After winning the AT&T earlier this year, pretty much from nowhere, he has gone on to record some very decent finishes. 5 top 12’s in his last 7 outings shows the sort of level we’re talking about at the moment – especially considering that includes a US Open and the PGA Championship… He was hitting 65% of fairways and greens at Whistling Straits, whilst his putting is still is usual self – that 40-footer on the last bringing great entertainment to all of us! All in all, we feel it would be a silly move not to at least consider the mighty Sneds, even with the shorts odds. Ryan Moore is an interesting one this week – on the surface he has the game to really challenge on this sort of track. However, his form hasn’t been the most eye-catching this season – his last top 10 came back in March… There’s been glimpses no denying, but he hasn’t been able to put four rounds together for quite a while. So why plump on him here? Well, he looked in decent knick tee to green at the PGA, finding over 71% of fairways and 68% of greens, whilst a few weeks ago he had 83% driving accuracy and 72% GIR. That is a potentially potent combination for this course, especially considering the fact he’s won here and recorded a T6 in the past. He’s also 56th for strokes gained putting, 25th in total putting and 29th for one-putt percentage. Vaughn Taylor may have a ridiculous way of spelling his name, but that doesn’t put us off the fact he’s a pretty decent shout this week. He is a two-time PGA Tour champion believe it or not (2 Reno-Tahoe Open wins in 04’ and 05’) but his career has mainly been plugging away on the Web.com, NGA and other such Tours. However in his last year before he turns 40, he’s been making some sort of inroads on the PGA circuit this season. A couple of top 10’s and only one missed cut in 11 outings is not a bad return and we feel he’s got something to offer on the sort of track. He is 28th for driving accuracy, 25th GIR and 79th for strokes gained putting which really is a cracking combination – he’s also 13th for scoring average which just goes to show he can shoot low when he’s in the groove. Much like Moore, he has to find the consistency to do it for four rounds and then we could have a cheeky outsider on our hands. Hudson Swafford is someone that is worth looking at because of the very high odds and the fact he does, theoretically, suit this track. A MC last time out at the Barracuda, but before that he was playing well for a couple of rounds in several tournaments in a row, only to have a stinker on at least one of the days. He must keep his form going over a few days and he really could challenge here. So here we go, one last push, one final hurdle. The golfing Major season will come to a head at a Pete Dye classic, as arguably the best field of the four big ones battle it out to win the PGA Championship. It often gets moved aside for the traditional majors and is only considered slightly bigger than The Players in some circles, but do not be fooled – The top 100 players automatically qualify whilst tournament winners in the past 12 months also get a spot (as well as some of the PGA Pro’s that got through their own qualification process) so this is a huge event with an unbelievable history and the very best players at this moment. A history that includes some memorable moments as well. Y.E Yang defeating Tiger in 09’, the new boy Keegan Bradley toppling the world in 2010, Rich Beem and his heroics in 2002, Shaun Micheel in 2003. We really could go on, but there are so many magnificent sporting stories that come to the fore with this 4th Major. So, before we get talking about Mr. Dye’s beautifully set up track, let’s have a look at some of the trends and recent history of the PGA Championship. 13 of the last 15 champions recorded a victory in the same year. This is no surprise in a lot of ways because the field is made up of winners, but it may help narrow down your search slightly. It does show that you have a recent knack of knowing how to get the job done and some sort of form. The lengthy nature of Firestone makes this little surprise as well – PGA tournaments are always on long tracks, so the comparison is obvious. Plus, another indicator that the winners’ game is in decent knick. 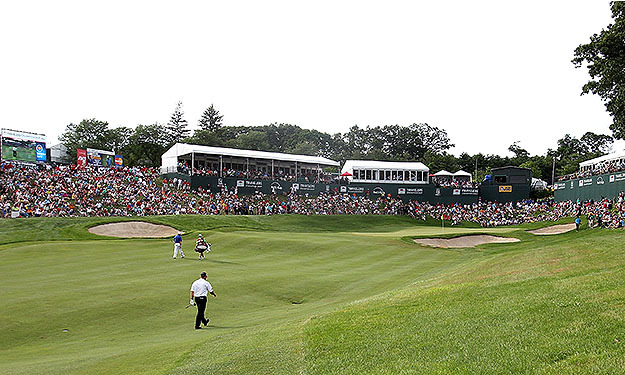 Again, hardly surprising considering the length of traditional PGA tracks – barring Oak Hill (2013, 2003), Southern Hills (07’) and Medinah (06’) every course measures in at 7,400 yards minimum. So, those few names make for very interesting reading. 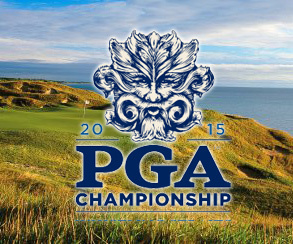 We are now going to be able to whittle the list down even further by looking at Whistling Straits itself. 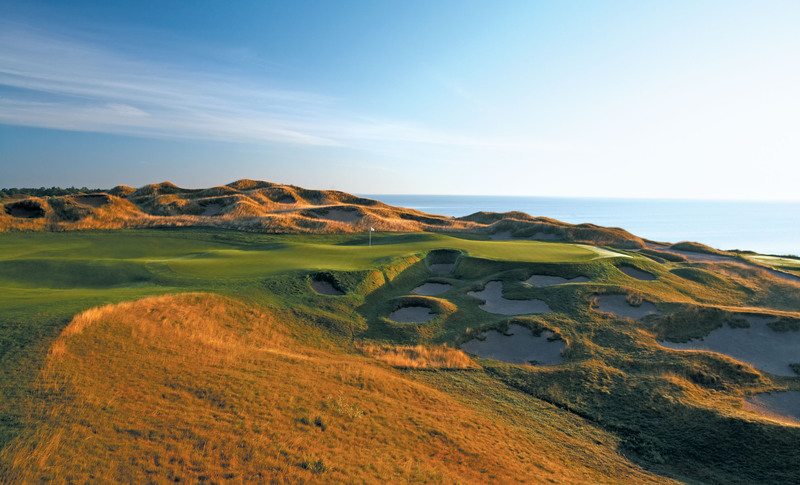 The Pete Dye layout will play as a 7,512 yard par 72 and is chiselled alongside the shores of Lake Michigan. There is absolutely no doubting there is a resemblance to classic Links tracks often found in Ireland – and even Chambers Bay in some regards, but at it’s core you have an American track that can be over-powered in good conditions and bite in tough, windy weather. Eights of the holes are completely exposed to the lake and there are elevation changes of a staggering 80ft throughout the course. But the undulating, rolling landscapes have a cracking defence in the ridiculous 900+ bunkers littered all over. On the surface you would think that driving accuracy will be key, but Singh and Kaymer were nowhere near the top end in that stats category and looking back at their performances, it seems far more important to have your irons in full flow. Hitting the small, tough greens is no easy feet, especially trying to the ball to stop. Therefore the usual Links skill of scrambling will be vital for our 2015 winner. If you look at it – Kaymer and Singh were both inside the top 10 for GIR stats throughout the week as well as the top 20 in scrambling. So, let’s now scrap those names above who are outside the top 40 in both those categories. Now you cannot deny those are some very fascinating names. Before we get into the nitty gritty of our own picks, we must mention that for us, Bubba and Day are too short to consider below 20’s – there’s much better value out there, but they should still be contemplated seriously before finalising your staking plans. For the fourth and final time in 2015 – enjoy this week’s major! Yes, we’re going there again. 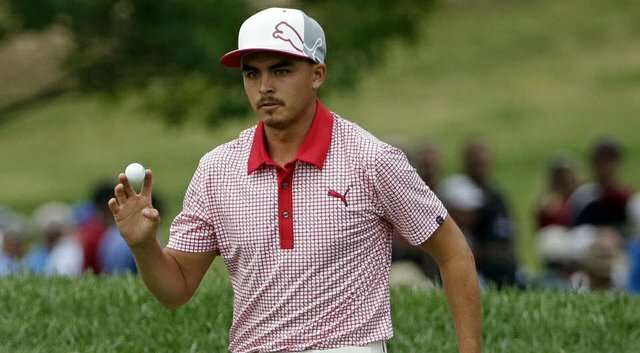 We are just so adamant Rickie is going to win a major very soon that when a course sort of suits him, we feel our hands are tied. He does fit the original trends, but didn’t make the last 5 because he lies in 93rd for scrambling, however we’ve seen how well he can play from tough positions when it matters most. And in his last two outings, he finished 2nd at the Quicken Loans and T10 last week at the WGC. He’s in great knick and should be incredibly confident in his abilities. We’ve heard a few whispers about Stenson recently that everything wasn’t quite going right, but he proved his form by a very solid T6 last week. He never propelled forward massively, but was consistent in his scoring and should take confidence moving forward to a major that should suit his game. Looking at his stats, you have to be impressed as well. 38th for driving distance, 1st for GIR and 62nd for scrambling. With his prodigious tee to green game he could overpower this track and use his expertise on Links tracks to perfection. Brooks Koepka has slowly been producing the sort of form that warrants him being a very interesting mid-ranger at 45’s. He is consistently playing well on both sides of the Atlantic – he hasn’t missed a cut since The Players and has recorded 6 top 20’s, 3 of which were inside the top 10. Last week he looked in good rhythm once again, finishing in a tie for 6th and he didn’t shoot over 70 again, taking his record to 9 rounds of 69 or better in his last 10. That’s some going. So, as well as being in good touch, he suits this sort of track down to the ground. He hits the ball a mile and has the ability to get his irons working ridiculously smoothly – 6th for distance and 19th for GIR, whilst he is actually 49th for scrambling from the rough which bodes well here. Plus he’s 58th for sand save which basically makes him the complete player. And don’t forget he’s a two-time winner in the past year, so he knows very much how to get the job done… Intriguing to say the least. Will he be Grace-ing the winner’s circle? In fact his form across just 2015 is just breathtakingly good – 18 tournaments, 2 wins, 5 top 10’s, 11 top 20’s and only 2 missed cuts. Unreal. The South African therefore has to be considered, especially when you think how close he came at Chambers Bay. There was no bottle there at all, he genuinely had a chance going down 16 and a T4 finish is still no mean feat. 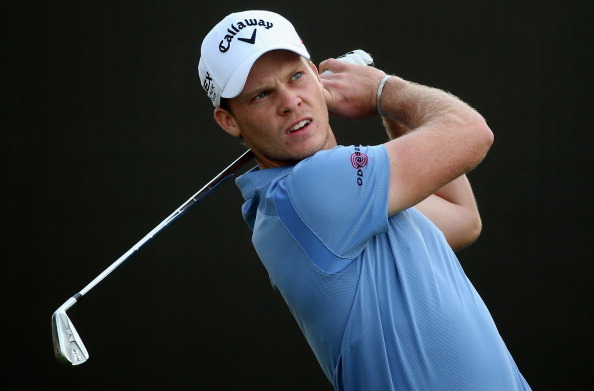 Danny Willett has had a pretty stellar year and is consistently recording top finishes. With two wins already this season and a further 4 top 6 performances, you cannot doubt the Englishman is an intriguing shout at 3-figure odds. As we stated in our preview, he fits all the trends and stats for recent winners – a comfortable, if not exciting T17 at the WGC will definitely stand him in good stead – in fact his recent form line is so impressive – T17, 1st in Switzerland and T6 at The Open. It was at St. Andrews where we saw the potential big tournament winning Willett really shine – a mini breakthrough if you will. He had every chance of capturing the claret jug going into that weekend but all the adverse conditions definitely didn’t do him any favours. Overall, you’ve got someone that hits it over 292 yards, lies 23rd for GIR and 4th in scrambling on the European Tour and has the all-round tee-to-green game perfectly suited for this test. Our final pick comes in the form of another non-major champion, making it a 6-man team who would all be debutants into the winner’s circle. 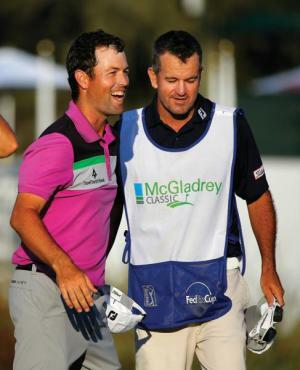 Robert Streb has performed above and beyond this year, pretty much continuing his early season form where he won his maiden title at the McGladrey Classic in October. He almost won again a few weeks back at the Greenbrier but lost out to Danny Lee in a playoff, but that still shows how far he has come to nearly win 2 in the same season.He is actually 5th in the current FedEx standings, which says a lot for consistency – a stunning 8 top 10’s and 13 top 25 finishes prove how well he’s been playing on a very regular basis. That playoff defeat was followed by a T14 at the John Deere, a T18 at The Open and a solo 5th at last weeks WGC. He was leading at St. Andrews for a while on that first day, which shows he doesn’t mind the adverse Links conditions or the pressures of the biggest tournament in the game. Stats wise he is perfect as well – 40th for distance, 11th for GIR, 78th fro scrambling, 84th sand save and even 25th for strokes gained putting for a bit of good measure. So here we are. The third and most historic major of the golfing calendar. The US Open began in 1895, PGA in 1916 and The Masters in 1934. But The Open Championship? 1860. 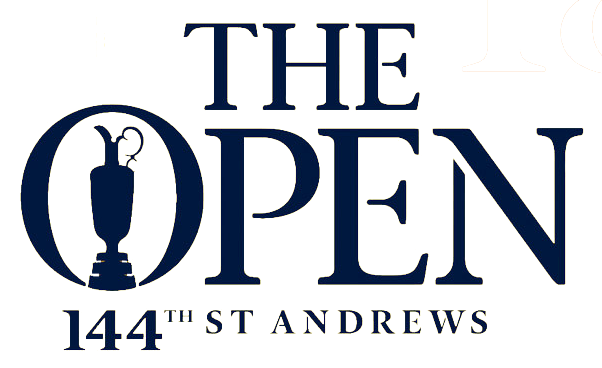 That means the 144th edition of this great tournament will be held back at the (adopted) home of golf – St. Andrews. As we’ve stated before, this season has been full of storylines and performances from top players, with Jordan Spieth obviously now going for the unthinkable this week. Before we get into the nitty gritty of what we can expect, we’ve got to mention the big omission of world number one Rory McIlroy. It has affected the odds and it the repercussions of him playing ‘soccer’ (It’s FOOTBALL) will definitely be felt across the globe. With his record at St. Andrews as well, you can’t help but think we really do now have a wide open contest. On to the famous track though – we’ve had some truly great winners here, some of the best to ever play the game – Jack Nicklaus, Tiger Woods, Seve Ballesteros, Sir Nick Faldo, Sam Snead and Bobby Jones. We’ve all seen the layout thousands of times in replays and famous Open moments but for those of you that didn’t know, the par 72 lies at 7,305 yards running across the Scottish east coast near in Fife. The Old Course has 112 individually named bunkers, including the infamous ‘Hell Bunker’ on 14 and the ‘Road Bunker’ on the 17th. Both have dished out serious pain to many that have succumbed to it’s sandy ways and can be the difference between a par and a triple bogey. Tiger Woods managed to go round here without finding a bunker on his way to the 2000 Open title, whilst Sir Nick only hit a few in 1990. The likelihood is, you’re going to see everyone in one at some point, so scrambling and sand saves will be key when thinking about your bets. The fairways are rolling, undulating and famously wide – there’s plenty of space to attack off the tee, but that doesn’t mean you can spray the ball wildly because the thick fescue ad gorse will take no prisoners. The greens double up several times throughout the 18 and are therefore incredibly large, which means there’s a variation of slopes, lengths and speeds during a round. Knowing when to attack pins and go for those birdies is simply crucial. The winner will definitely have to understand links and how to play different shots, in varying conditions. There’s no other type of golf even remotely similar to it. Not sure where to look? Tiger Woods only had one finish outside the top 11 in the 6 tournaments prior to his 2005 win, including 3 top 3’s and a win. No point even saying what Tiger was on during his win in 2000. It was barmy. John Daly was a slight anomaly. Few missed cuts before and a couple of finishes inside the top 15. Sir Nick had 3 top 5’s in a row before and had won The Masters. A scrambler and flag attacker. Birdies can sometimes be easy to come at St. Andrews. Overall it will be an unbelievable week of historic golf, especially as we all say a final farewell to one of the greatest Open champions ever. Only Harry Vardon has more Open titles than this living legend. Tom Watson. We salute you. DON’T FORGET – Our weekly competition with renowned magazine Golf Monthly continues, take a peak at the end of our selections to see how our stakes have been distributed this time. You can follow us throughout the week on Twitter @downthe18th for the latest news, betting + banter. Please get in touch and let us know what you think of our picks and who you fancy as well! 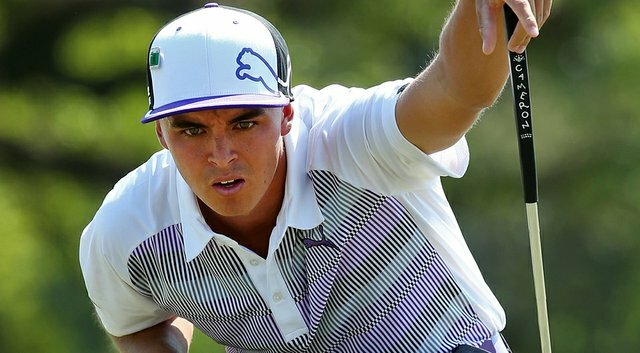 If you’d come to our site in the past few days, you would have seen the names Rickie Fowler and Tommy Fleetwood pop up in our preview. It’s obvious that these were our two antepost bets, mainly because we fancied them to do well for both events in Scotland. So, we grabbed Fowler at 33’s with BetFred and duly watched him go on another birdie binge to win at Gullane. It was yet another unbelievable performance; a master class in complete golf. There’s simply very few chinks in his impenetrable armour. We all thought that he didn’t have the bottle to win and that we would never see him push on from an outstanding amateur career. Well from recording 4 top 5 finishes at the majors last year, he’s pushed on to unbelievable heights in 2015. His form leading in is clearly very good, he is driving well and looks very comfortable with his mid-short irons and that is a potentially lethal combination at St. Andrews. We’ve seen his scrambling abilities quite regularly recently as well, which is always a must with the heather and bunkers protecting an otherwise simple track. But there are two significant reasons why we really fancy him this week. Firstly, his bottle. He looks so comfortable on the greens in heated moments, he is really learning how to hole putts when it matters. Just think Sawgrass and that fantastic approach on the last in Gullane to give him his one shot victory. The boy got game. But secondly, it’s ability on links tracks. 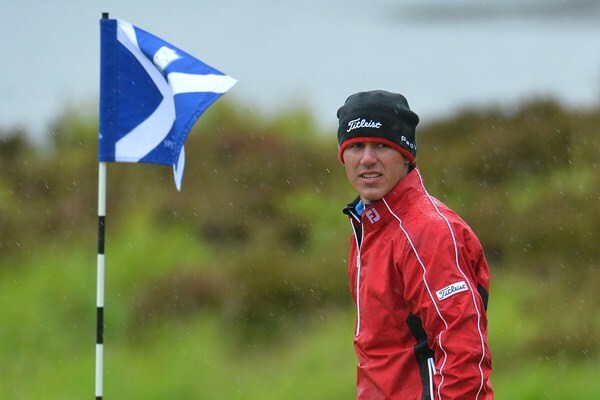 We’ve seen him several times turning up on these shores to have a knock on seaside courses – T8 at the Scottish and T2 at The Open last year, T30 in Ireland a few months back, when he was challenging for the lead. 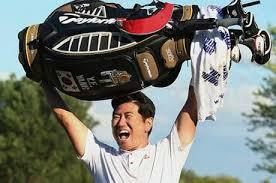 Plus he finished T14 at St. Andrews back in 2010 after surging through the ranks following a quality final round. Well, here we go again. We’ve been through all sorts of ups and downs with Henrik Stenson, including at this very tournament back in 2013, but we’ve got something of a hunch that it’s time for us to re-visit and old pal. His rise back to the summit of the sport is virtually complete and has kept very steady – he hasn’t left the top 10 since the back end of 2013 – but it’s blindingly obvious what’s missing. He’s won The Players, a WGC and 15 other pro events, but that breakthrough major still eludes him. And whilst we feel his game can be transferred to pretty much any major, The Open feels like the best type of layout for him, especially the demands St. Andrews will bring. He finished T3 here back in 2010, which in most years would have challenged for the title, but we all know what Louis went on to do. Plus in 2005 he finished T34 when his game was nowhere near the level it is now, so it adds up to some very encouraging signs. He’s also played the Dunhill Links many times compared to the other big boys around him, so he’ll know the track incredibly well and having record 3 top 10’s there, you can’t help but gain that extra bit of confidence. Form wise he’s definitely been topsy-turvy. A cracking return to his best at his last outing in Germany (T2) will keep him buoyant, whilst you have to remember he’s had top 20’s at The Masters and The Players and a solo 2nd at the Arnold Palmer and 4th at the Valspar. Brooks Koepka has been on a rapid rise into the higher echelons of world golf in the past year or so. Having started out 2014 in and around 100th in the rankings, he has been firmly amongst the top 25 since his breakthrough PGA Tour win at the Waste Management. Including his win in Turkey at the back end of last year, he’s been showing genuine major contending form. If you remember he grabbed us some place money at the US Open in 2014 and wasn’t a million miles away a few weeks ago at Chambers Bay. And the fact he played well on a proper links track shows that he’s got the game for an Open Championship. He learnt the ropes in the pro game over in Europe as well, which means he’s accustomed to ‘non-American’ courses and actually has a pretty decent record on these layouts. T28 at the Johnnie Walker, T22 in Wales, T12 at the Scottish and a win at the Scottish Hyrdo all in 2013, whilst he actually finished T4 at the Dunhill Links last year. Then he went on to finish in a tie for 22nd last week, following on from some good recent form, including a T3 at the St. Jude Classic a few events back. His length and iron game definitely suits St. Andrews and out of all the mid-rangers, he really looks like the perfect fit to challenge the very best. 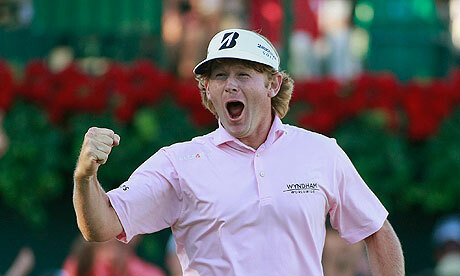 Come on Sneds, get that roaring passion going! No denying that plumping on Brandt Snedker goes against everything we’ve said about distance, but this lad is in such good knick and simply too good with the short stick not to consider. His recent form is up there with anyone (barring Spieth…) and he’s gone relatively unnoticed or even mentioned for the claret jug. Don’t forget it wasn’t that long ago he challenged Adam Scott and Ernie Els very close. 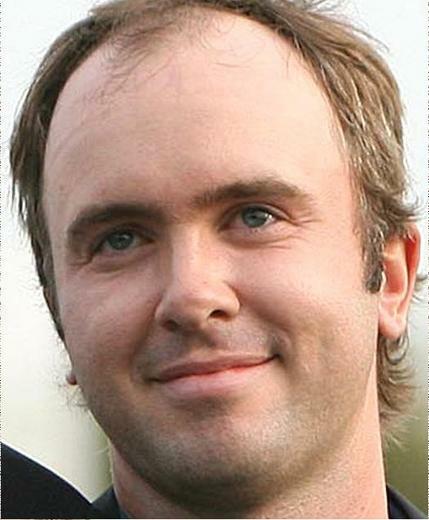 In 2012 he was unstoppable with his putter and irons – he shot 66 and 64 to equal the lowest 36 hole score in The Open. Yes he went on to finish T3 but that proves he’s got the game for links golf. Just look at his two wins at the AT&T – Pebble Beach is a proper seaside track. But we really do feel he is closing in on that hot streak again, when attacking the pins and finding the cup is done with ease. His putting stats are a joke – 5th strokes gained putting, 19th total putting, 9th one-putt percentage. He just loves it. Tommy Fleetwood has entered the top 50 in the world for the first time in his career this season and most of that is down to a new-found consistency. He really is playing some decent golf. 7 finishes inside the top 21, with 4 top 10’s including a T10 across the water in Gullane at the weekend. He had a genuine chance going into that final round but it started off with a double on the 1st and he never truly recovered. That hasn’t put us off backing him (even though admittedly we laid him last week…) and most of that was because of his outstanding form at St. Andrews. He is a remarkable 26-under in his last 4, yes FOUR, rounds there. That is simply ludicrous. 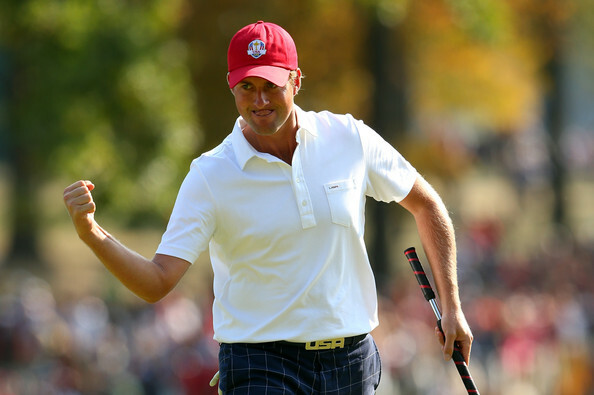 His results at the Alfred Dunhill are crazy – T2 in 2014, 2nd in 2013, 5th in 2012, 55th in 2011 and T5 in 2010. That is some of the best form of anyone at the event and bringing that to St. Andrews in the sort of confidence and vibe he will be in at the moment is very exciting. We wanted to find another cheeky outsider and dabbled with the idea of Rafa Cabrera Bello but stuck with Retief Goosen. We are only talking a few spare pennies, but he got back to some iron beauty in Germany, finishing T4 (and winning us some much needed dollar!) 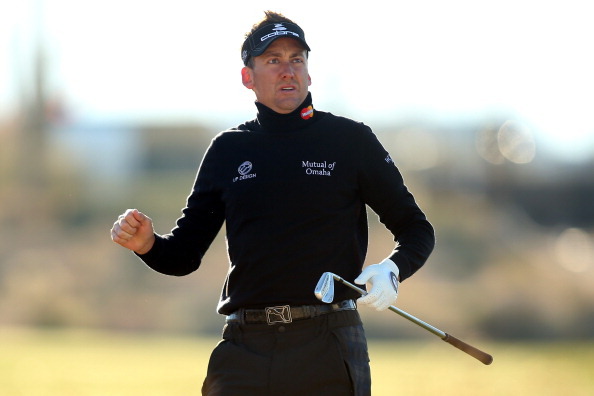 whilst his form at St. Andrews is not bad – T41 2000 and T5 in 2005 and 6th in 2010. Plus he won the Alfred Dunhill Cup back when it was matchplay in the nineties twice in a row with Ernie and David Frost. At the end of the day, he is a double major champion and we know that was some time ago, but all we say is, why not? Well, well, well. One week away from the third major of the year and everything just seems slightly barmy right now. Firstly the obvious and astonishing news that Rory McIlroy announced – rupturing his ankle ligaments by playing football with his mates. Definitely out of the Scottish and 99.99% likely out of The Open. Craziness. Just as shocking as his statement, the Northern Irishman said ‘Soccer’ instead of Football. You’ve been in America for only a short while Rory, come on, it’s FOOTBALL!! And away from that debacle is the fact that we have never, ever seen a field quite like the one we’ve been served on the European Tour this week. 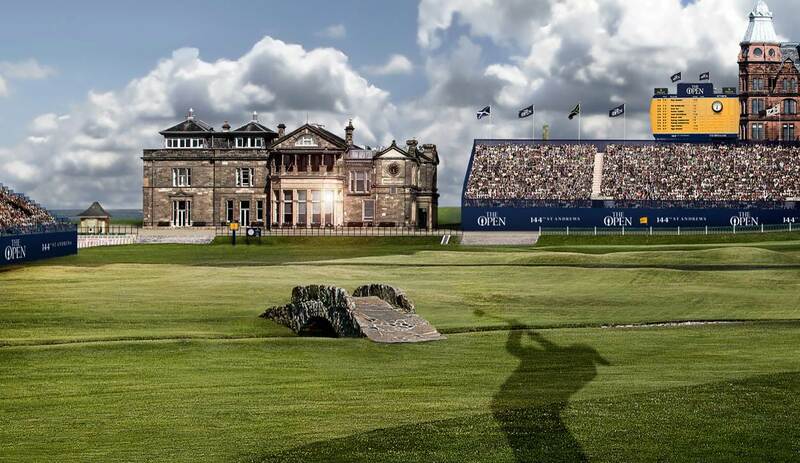 A simply, star-studded line-up will be bombarding on a new track to the Aberdeen Asset Management Scottish Open rota – Gullane Golf Club. Justin Rose, Rickie Fowler, Jimmy Walker, Phil Mickelson, Matt Kuchar, Brooks Koepka, Ryan Palmer, Ian Poulter, Ben Martin, John Senden, Daniel Berger, Russell Knox, Cameron Tringale, Martin Laird and even David Duval. Simply put, what a truly spectacular couple of weeks of true links golf we’ve got ahead. 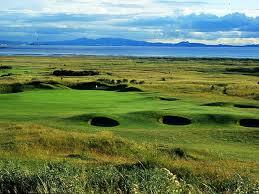 So what do we know about Gullane then? Well, honestly, not a lot. 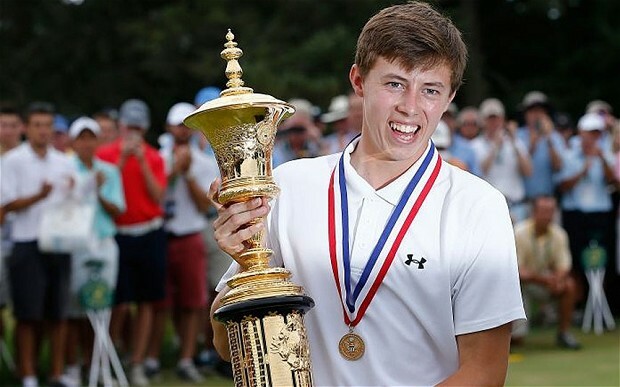 It did host Local Open Qualifying back in 2013, when Matt Fitzpatrick, Oscar Florén and Ben Stow secured a Muirfield berth. It stands at 7,133 yards and has only two par 5’s, however the 16th does measure at a monstrous 599 yards. All in all, there’s mid-range par 4’s that could be out fought by big hitters if they’re on their game. The famous East Lothian track will be using 16 holes from the No.1 course and 2 from the No.2 and it’s set over an enormous expanse of land next to the beautiful mountainous seaside. Everything about it says Links though – long fescue rough, open fairways guarded by severe bunkers and sloping greens that are protected by even more severe bunkers. Basically, stay out the bloody bunkers. All the varied uphill and downhill lies on the undulated fairways mean that it’s important for the players to have complete control and manoeuvre the ball how and when they want. You’ll be looking for the traditional wind specialists and those that have a solid links record. An interesting bet this week Ian Poulter. One we go into with slight trepidation, but one that could bear the fruits of some top winnings. Firstly, he was out in japan for the ISPS Global Cup last week where he finished T4 and apparently played some very good golf. Now you can look at that like he’s had some heavy travelling, or you can think, well he’s going to be happy with the shape of his game at the moment. Evidently, we’re going for the latter. But all in all, it’s been a pretty solid few months for the Englishman, having recorded some impressive finishes. A mediocre outing at Chambers Bay followed up a T5 at the Crowne Plaza, which he arguably should have come closer to winning, whilst there was 3 finishes inside the top 34 and then a T6 at Augusta. It’s the first time we’ve seen Sir Ian back in the UK since the Ryder Cup and there’s no denying he’ll feel he has a massive point to prove. Tommy Fleetwood instantly jumped off the page when we saw the odds because a lot of the mid-rangers don’t have the same sort of links pedigree and recent form. The Englishman recorded a T11 on his last outing in Germany and even finished T27 at the very challenging Chambers Bay. The other two biggest events of the season in top quality fields, he put in quality performances as well. T6 at the BMW in Wentworth and T5 at the WGC Match Play – and that is the best 64 players in the world. So, he’s proven he can mix it with the big boys and he’ll have to do it here for sure. 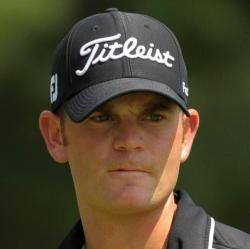 His recent form on Links tracks is highly impressive, having grown up in the Southport area, that’s no surprise. T21 in Ireland, T17 at the Trophee Hassan, T2 at this event last year, T2 in Wales and his only European Tour win coming at the Johnnie Walker Classic at Gleneagles. The boy’s got game in the wind. We seem to do it every time Russell Knox is over on Scottish shores, but it’s just too tempting. Especially at 66/1. We’ve consistently seen the specialist all-rounder in and around PGA Tour leaderboards and challenging for an e/w return. A T8 at the FedEx St. Jude Classic shows that he’s not far away and whilst there was a worrying withdrawal last week, the fact he was over par and sighted an ‘unknown illness’ to us means that he’s absolutely fine. He probably just wanted to get over here quicker and get into the swing of things on his home turf. 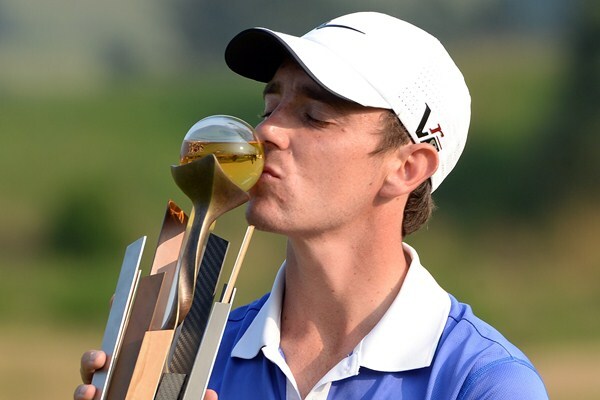 His game is well suited to links golf and having gained so much experience and stature over in the States, there’s no reason he can’t replicate his outstanding tee to green game and give the leaders a run for their money. Firstly, we know that Matthew Fitzpatrick has missed the last 2 cuts and in fact missed 3 out of the last 4 cuts, but there’s still been enough golf in recent outings to warrant selection this week. T3 in Austria before a very impressive T8 in Ireland on a very demanding Links course. And that is where our main arguments lie. Links golf. 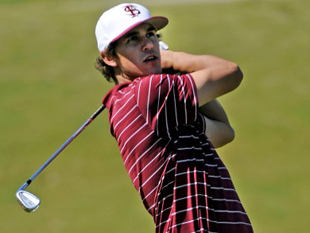 He clearly has a natural love for coastal tracks – he even finished T23 at the RBC Heritage last year, one of the only links courses in the States. But what draws us most to the young Englishman, is the fact that he is one of the only men in the field to have actually played Gullane in tournament conditions. He sailed through ‘Local’ Open Qualifying in 2013 before going on to win the Silver Medal. This place will hold good memories for him and if he can get his game going like we’ve seen in the past, there’s no reason why he can’t be in and around at the weekend. Sorry, but at 225/1 it’s 100% worth a punt on wind and rain specialist Dave Horsey. The Englishman has shown his liking to links tracks many times in the past and there’s absolutely no reason he can’t mount a challenge for a place this week. He missed the cut last time out in France, but a T11 at the BMW gives some indication that he’s knocking it all right and for a specialist on these type of layouts, 225 seems very healthy. Well what an enthralling final few hours we all witnessed at Chambers Bay. Rory McIlroy going on the charge before faltering, Louis Oosthuizen producing 3 rounds of genuine quality but falling agonizingly short, Branden Grace in contention right till an OOB on the 16th before the ultimate finale when DJ 3-putted to gift Jordan Spieth a 2nd Major in a row. Not forgetting the ‘Cauliflower’ incident. Exhausting stuff. But onto this week and considering the event just gone, we don’t have the worst field to be fair. Louis will be confident after his US Open antics, whilst the likes of Sergio Garcia, Bubba Watson, Brandt Snedeker, Patrick Reed, Keegan Bradley and even Jason Day (although that’s likely to change after his vertigo issues) are all due to tee it up at TPC River Highlands. This 6,841 yard par 70 is clearly not the lengthiest, but due to it’s tight fairways and abundance of hazards, accuracy will play a huge part come the final putt on Sunday. Getting the ball down the middle and having the ability to attack pins will be crucial, whilst we’ve seen recent winners on fire with their short stick and scrambling around the greens. As a Pete Dye design, it may be worth looking at some of his other tracks – Harbour Town, TPC Sawgrass and TPC Louisiana – because most winners have had a decent performance at a Dye layout before. Do take note of various GIR stats, especially 100-125/125-150 because there’ll be so many short wedges for the players and those that are consistently in with birdie chances will undoubtedly be winning by the end of the week. Francesco Molinari did not have the greatest year in 2014 but it has been clearly evident how strongly he’s progressed this season. He has mainly been playing on the PGA Tour for starters and accumulated some pretty impressive finishes. A T10 at the Humana Challenge in January, followed by a T17 at the Arnold Palmer and then a T3 at the Memorial. The main thing they all have in common is that you need to get the ball in play to find and attack pins for birdies. The same can be said for his best two finishes in Europe – 5th at the BMW (all be it with a slight struggle on the final day) and a T2 in Spain. All in all he is looking pretty imperious at the moment tee to green and proved his form hasn’t shown signs of slipping when he found himself inside the top 10 going into the weekend at the US Open last week. Just look at his stats on the PGA – 1st driving accuracy, 4th in GIR, 25th scoring average, 19th proximity to the hole and most excitingly for this week, 1st in approaches from 100-125 yards. The Italian is the perfect fit for this track, even though he’s never played here and undoubtedly at very reasonable odds. 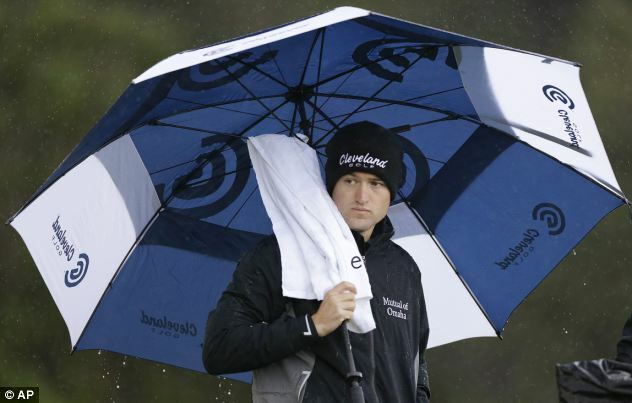 Russell Knox has become a perennial top 25 finisher in PGA events. He will often be in and around before just doing enough and not truly excelling. There’s an obvious few exceptions to the rule – 3rd at the Shriners and T3 at the Honda, but all in all he rarely gets you money back. However he so often has that look and feel of someone on the verge of picking up a title and this could finally be that week. He suits the track perfectly, has finished T13 here before and has actually shown a steady increase in results recently. He shot a 64 and 66 either side of a couple of rounds in the 70’s last time out and if he can sort out his short stick he’ll definitely be up there come Sunday. 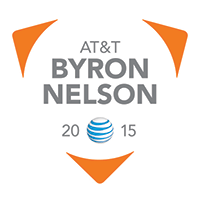 This week on the PGA Tour we stay in Texas for the AT&T Byron Nelson with a field that doesn’t excite anywhere near as much as last week or over the event over in Ireland. But, we’ve got to look past all that and try and value at a course which is honestly, quite hard to predict. Only 3 of the 8 winners on this track had recorded a top 10 before their victory, whilst there has been another 3 first-time victors. Therefore course form can theoretically be chucked out the window, but we always feel it’s important to keep an eye on previous results. The 7,166 yard par 70 possesses large, undulating greens with several water features and strategically placed bunkers that will swallow anyone who strays into them. The tree-lined fairways clearly indicate how vital it is to be accurate off the tee, whilst you can’t help but think those that attack the pins and birdie hunt will find themselves near the top of the leaderboard. If the wind gets up, there’ll be havoc amongst the scores, but if it’s mild, the players will go really low. That makes this so tough because you could look at accurate grinders or bombers, so check out the wind before you bet – right now it looks like we could be in for a pretty horrific few days weather…. Kuuuch has been his ever consistent self this year, making 14 out of 15 cuts since the season began. We are aware that one failure to make the weekend did come at his most recent outing – The Players – but we are going to be looking past that because this is a track where he should fare well. His tee to green game is infamous and could be a great fit for the demands of the course – a place where his formline isn’t spectacular, but it is certainly impressive nonetheless. 2 top 10’s in his last 4 outings here with a worst finish of T33. He really needs to bring the form from the RBC Heritage back here and if he can then 33’s will seem like incredible value and definitely worth backing. His putter has been particularly hot this season as well, which will, without doubt, make for an easier effort here. Didn’t we say it was last chance saloon for Harris English a couple of weeks back? Yes he has intrigued us several times going into a few events this season and duly not delivered but at 66/1 we feel he’s worth another cheeky bet. This is a track that has his name written all over it. One of the best on tour off the tee – 17th total driving – he could be hitting it long and straight to set up perfect positions to attack pins. Considering he is 21st for GIR and 26th for strokes gained putting, you can’t help but think his all-round game will be perfect here and although his best finish is T17 in 2 starts, you still think there’s plenty more to come. And that can be said for his whole season really. No top 10 since the Valspar a couple of months back, but a cracking player with the potential to show his true abilities at very reasonable odds. This is a course, despite missing the cut on the two times he’s been here, that Steele could be a real handful on. At first glance Four Seasons looks like it’s one for the straight hitters out there and to a degree that’s true – Steele isn’t renowned for being arrow-straight. But looking through the history books, it’s the ‘total-drivers’ that have really thrived here. That’s where Steele comes in. Okay, he doesn’t find every fairway but in the main he’s not only straight but long as well. He ranks T35 total driving on tour and was actually 1st in driving distance in his last event at the Wells Fargo. 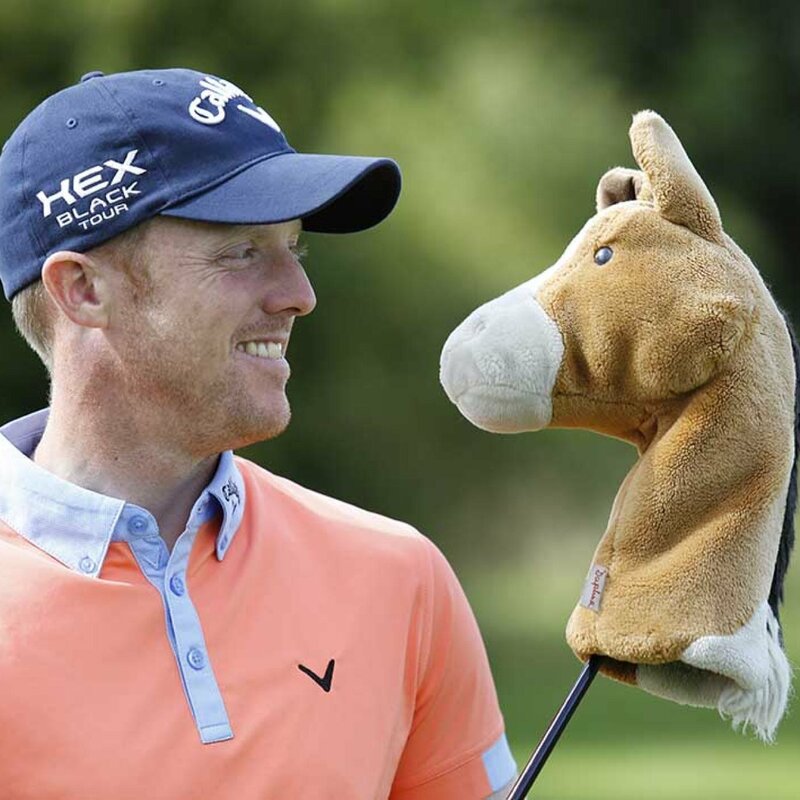 It’s his T9 in his last outing that is the main reason we’re having a punt on the American in Texas this week. As always, we watched plenty of live coverage but Steele was someone who really caught our eye. It’s one thing ploughing through stats and then another actually seeing these guys strike the ball. He looked on top of his game and on further inspection you’ll find he ranked 1st in GIR for the week, absolutely no surprises there. At 80’s bookies are obviously looking elsewhere given his 2 MC’s here but he could go close this week. Much like Chris Kirk, Steele has the quality to start pushing on now and racking up a few more PGA titles. The scene of his one and only PGA Tour title so far was in none other than Texas, at the Valero. Good omens. Jerry Kelly will probably be a popular outsider this week because he looked pretty impressive with his irons at Colonial and he just seemed to be really bloody happy. 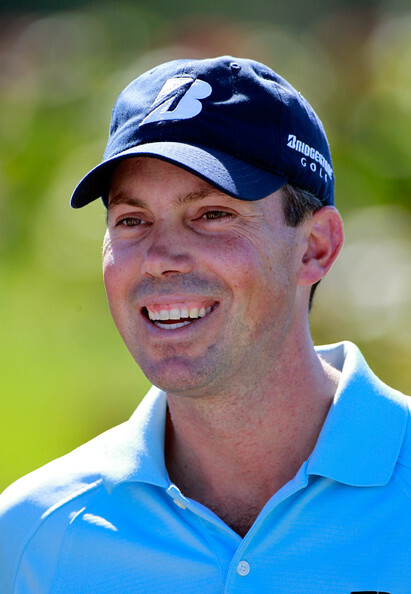 He was a smiling guru of approach play throughout the week and to finish T10 shows his game is almost there. He is very much a true grinder with ridiculous accuracy stats – 13th driving accuracy – and this is a place that should suit him perfectly. He has finished T3 here before and recorded 2 other top 11’s which shows it’s a place he likes and if he can continue his steady rise in finishes – T22, T17 and T10 – this will be a memorable week for the old timer. Martin Laird will be incredibly accustomed to any wind that decides to barrage down in Texas this week and whilst his recent form hasn’t been great, at 150’s he’s definitely worth a gamble. 30th for total driving and 35th GIR proves he has plenty of potential on these sort of tracks. We’ve seen him grinding and scrambling his way on tough courses already this season – T5 at the Waste Management and T7 at the Valspar – so if he can replicate that sort of form then he really is a decent outsider to consider if the weather decides to take a turn. 250’s might put some of you off but as we keep saying, pretty much every week someone at this sort price will always sneak a place, if not win. Adam Hadwin (400/1) last week, prime example. So why will Will win? He’s played here once and missed the cut. Good start. But… looking at his recent form, he’s actually in good shape. Two top 20’s on the Web.com preceded by a T33 at the Valspar and T6 in Puerto Rico. Then we look at stats. 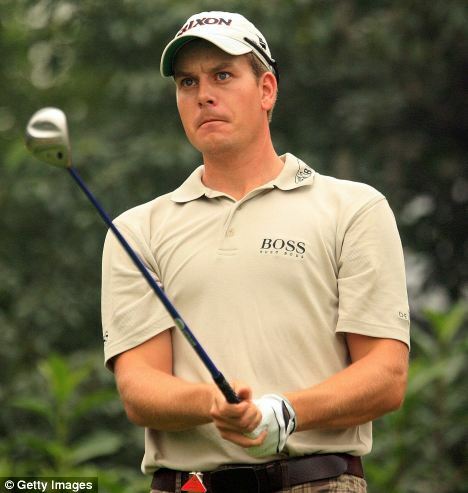 He ranks 7th total driving, 2nd bogey avoidance, T28 par 4 performance and 6th par 3 performance. Essentially, tee to green he’s one of the best on Tour. Naturally, he needs to up his short game and when the pressure is on how will he cope. All good questions but he’s 250/1 and worth a few coins.